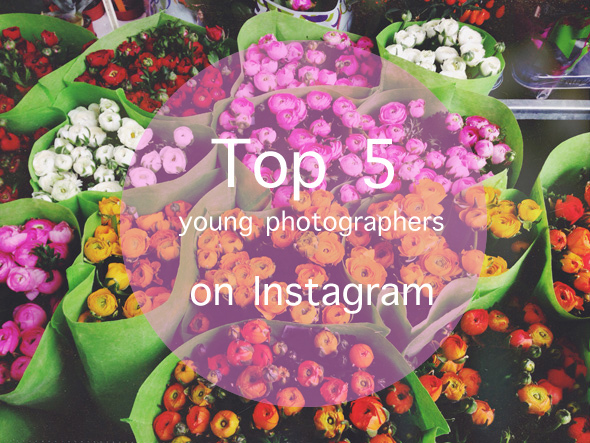 Top 5 young photographers on Instagram | go do. Very talented photographer from Germany. On his stream you find some of his fine art work, behind the scenes images and snapshots from his travels. I’ve been following Laurens photography for years now (I discovered her beautiful work on flickr first) and really like her style of dark and emotional portraiture. On her Instagram she also shares landscape photography from her travels. I’ve also been a big fan of Lauras photography for years. On Instagram she shares colorful images from her life and the most beautiful sunsets in Munich. David is probably one of the very best fashion photographers in New York. I’m especially loving his coverage of New York Fashion Week. On Instagram he shares his latest work and many favorites from older photo shoots. I’ve been a fan of Emmas work on Flickr some time ago and was so happy when I discovered her Instagram account. Nobody (except maybe her mother Cindy) can capture everyday life so beautifully. Also, loving her hair !